After a very thrilling game that ended in a Ginebra victory against the Meralco Bolts, 91-90, Coach Al Francis Chua can't help but be proud of his boys. Ginebra held on to the lead for majority of the game but Meralco came roaring back anchored on the 3 point shooting of Ronjay Buenafe and Sunday Salvacion. The two had 7 big time three pointers all in all that cut down Ginebra's lead. Meralco even got the lead in the last 30 seconds of the 4th Quarter. Good thing Vernon Macklin rose to the occasion via his patented post up power play that gave back the lead to Ginebra in the last 7.9 seconds of the game. Macklin's shot proved to be the game winner after Meralco's import, Eric Dawson, missed a what could be game winning perimeter shot. And so Ginebra's winning streak lives on. They are now on 6 game winning streak. From being down in the standings, they have secured a slot in the playoffs. They will try to get their 7th win tomorrow against the Alaska Aces. 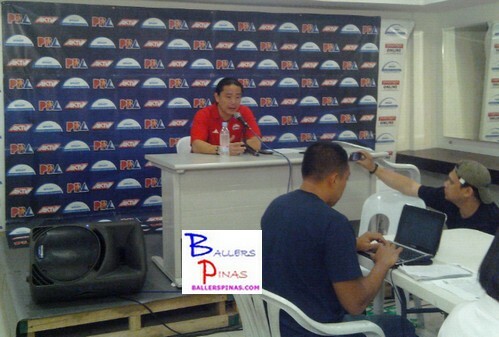 Wanna know the reaction of Coach Al Francis Chua on Ginebra's big win against Meralco? Just watch the video below.